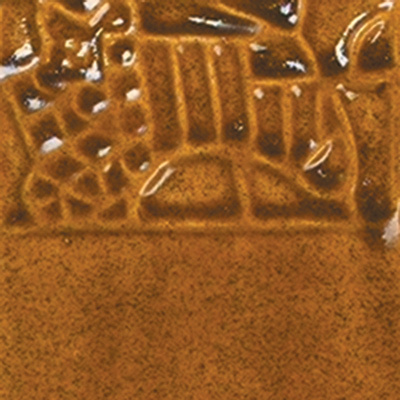 118ml (4oz) Tile above shows application on Cone04/05 earthenware bisque. Apply 3 coats to your piece. On vertical pieces: taper the coats towards the bottom of the piece to prevent against glaze running off the ware. An uneven glaze application, the pieces shape and surface texture can affect the fired finish. Can be used in combination with other Element glazes, test tiles recommended before completing a large project. Fire to Cone06 (1000C).